"There should not be job reservation in the private sector," Rajiv Kumar said when asked to comment on the contentious issue. 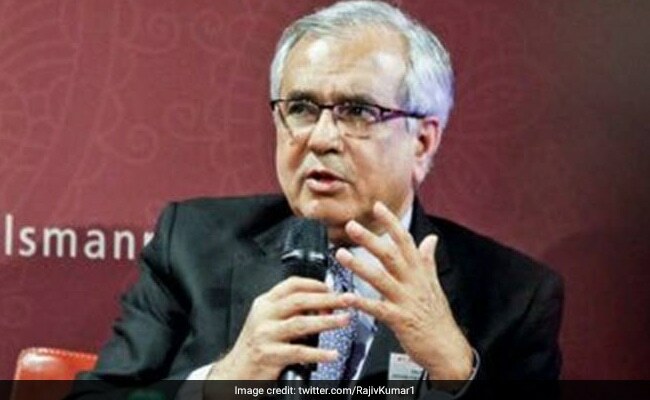 New Delhi: Joining the debate on job reservations, Niti Aayog vice chairman Rajiv Kumar has said he is against extending the policy to the private sector, while admitting that more efforts are needed to generate more employment. Several political leaders are advocating job reservation for SC/ST in private sector. "There should not be job reservation in the private sector," Rajiv Kumar said when asked to comment on the contentious issue. He however made a case for generating more employment, saying that the government is able to provide employment to 10-12 lakh youths, though 60 lakh young people join the labour force every year. Many people used to find some kinds of jobs in informal sector but that has reached a point of saturation, resulting in complaints from different sections of people, Rajiv Kumar said. The Lok Janshakti Party led by Union Minister Ram Vilas Paswan has recently demanded job reservations in private firms. Similar demand has been made in the past by other political outfits as well. Karnataka Chief Minister Siddaramaiah had made a case last year for extending the reservation policy to the private sector. "It is high time to think about reservation in private sector. It should be achieved through debate and dialogue," he had said. Bihar chief minister and senior JD(U) leader Nitish Kumar had also made a strong case a few months ago for extending reservation in private sector. "In today's time of economic liberalisation if reservation is not provided in private sector then it would be playing a joke with the concept of social justice," he had said. However, several industry associations have maintained over the years that introducing reservations could create hurdles in growth due to dearth in skilled labour and hurt chances of attracting investments in the state.